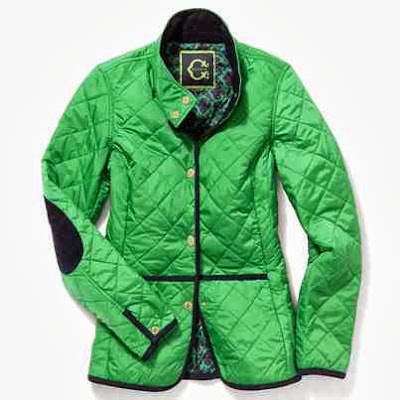 I am swooning over this kelly green C. Wonder Quilted Nylon Barn Coat! The color,the style, the neckline, the piping details in navy and then of course...the elbow patches...this might be my PERFECT COAT! Love! And well...it's clear I have a thing for blazers. They just go with everything. I don't own one in navy and am so loving this C. Wonder Classic Blazer. Timeless! I've never shopped at a C. Wonder store before...have y'all? How do their clothes fit? Do you have any favorites this season? That's a great looking jacket, love the color but I have been really disappointed in the quality of C Wonder so I wonder if they have worked on that? I was turned off last time I was there but admit some of the looks are really cute. I love C. Wonder, I have a whale sweater, it's pretty thin was a bit too pricey but I had to have it anyway. bought a monogrammed clutch and it's fantastic.